Discover our boating and lifestyle activities available to you at Palm Cay. Swim with turtles, enjoy a sunset champagne cruise, unwind with a massage or just bask in the warm Bahamian sun with the Caribbean’s most refreshing Frozen Mojito in hand. Palm Cay’s Lifestyle Manager is at your service to arrange anything you would like to see or experience in The Bahamas. All you need to do is relax and enjoy your time in paradise. Enjoy miles of white sandy beaches at this private island just off the coast. Bring your swimwear to enjoy snorkeling along the reef at Rose Island and at Green Cay with the incredible green turtles. This is a once in a lifetime opportunity for videos and photos swimming among these majestic sea creatures. Visit Gilligan’s Island and take a stroll along McTaggart’s Beach. Soft drinks included (Beers are available). Lunch is optional on island at Footprints (cash only). Please allow 90 minutes for lunch if you choose to dine on island. Vessel departs Rose Island at 4:30pm. Visit this privately owned island and its eight spectacular beaches-all within walking distance of the marina. 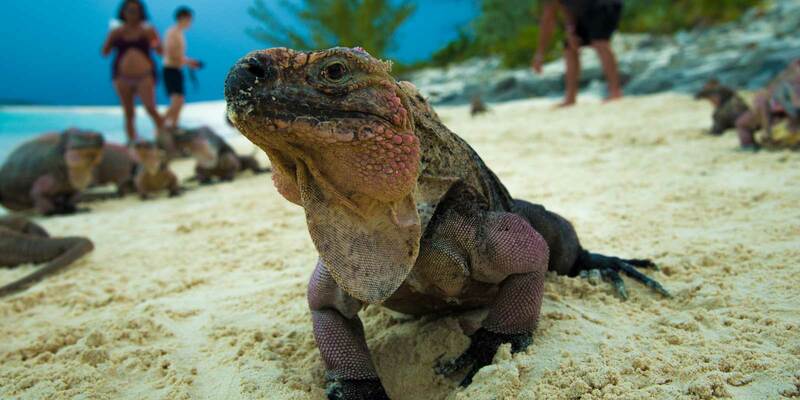 Drop anchor at Allan’s Cay and meet some the largest iguanas in The Bahamas. Soft drinks included (Beers are available). Lunch is optional on island at Xuma’s Restaurant. Vessel departs Highbourne Cay at 4:00pm. 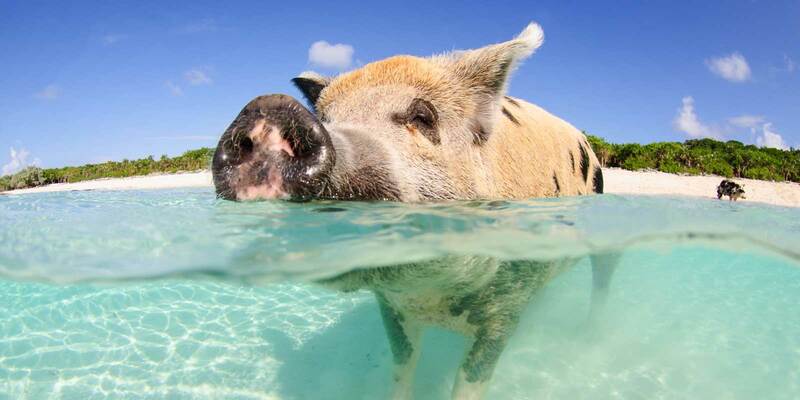 Visit the world famous swimming pigs of The Exumas at Staniel Cay. They love company almost as much as they love to be fed! Soft drinks included (Beers are available). Lunch is optional on island at Staniel Cay Yacht Club. Vessel departs at 4:00pm. Visit the fishing capital of The Bahamas. 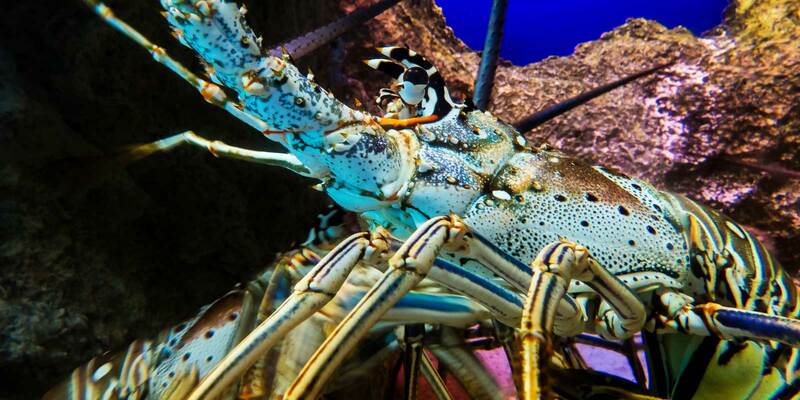 The community of Spanish Wells on St George’s Cay lies just west to the northern tip of Eleuthera where the main catch of the fishermen is the Bahamian lobster or crawfish as it is referred to by the islanders. 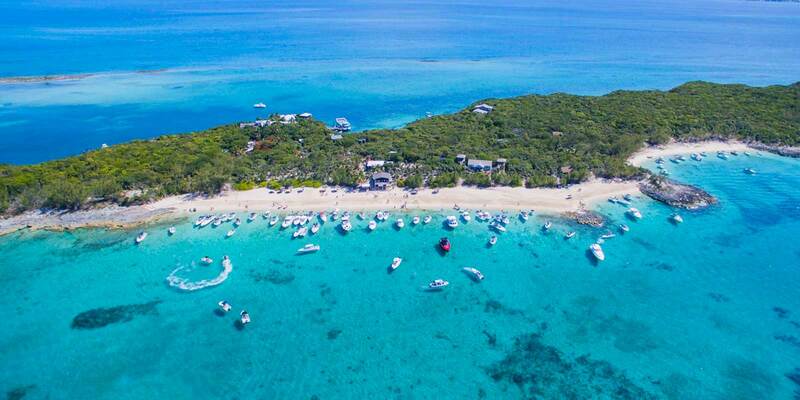 Take an island tour via golf cart for sightseeing around St. George’s Cay. Soft drinks included (Beers are available). Lunch is optional on island at The Wreckers. Vessel departs Spanish Wells at 4:00pm. Join us as we celebrate the end of another day in paradise with a glass of champagne and the beauty of the Bahamian sunset. One bottle of Champagne and Hors D’oeuvres included. Additional Champagne is available for Purchase at $100 per bottle. Welcome to Palm Cay! Enjoying your experience with us? Don’t miss out on any more fun and join The Club today! Hors D’oeuvres and Beverages included. 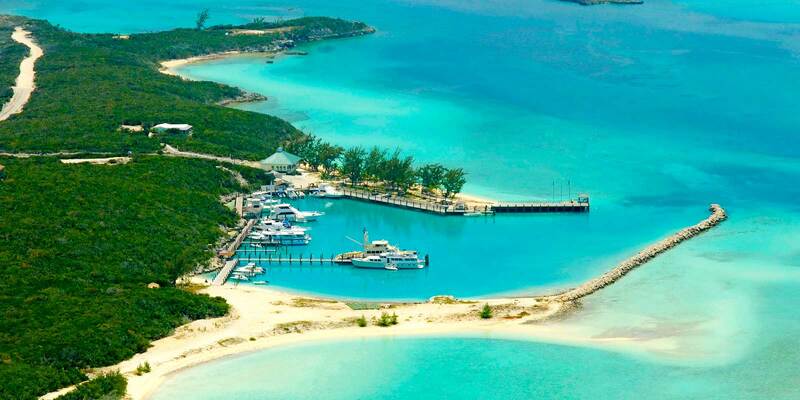 Discover why travellers all over the world make Palm Cay Marina their boating destination. Learn about the surrounding waters and boating in The Bahamas from our Boat Captain. Climb aboard our boat for a quick tour on Palm Cay 1 and learn basic navigation, how to tie knots and explore what lives in our waters. *There is always an option for lunch to be prepared by our awesome café or restaurant and have delivered to the vessel prior to departure. We require notice for the preparation of lunch by Palm Cay in advance please. *Additional beverages are available for purchase and we can have it chilled an on board for you such as wine, beer or alcohol. *If there are any special requirements that you may have that would make your trip even more memorable please do not hesitate to let us know. Even though we have set charters if you need us to customize a trip for you please let us know and we will make it happen! *Fishing trips are made on individual basis depending on the need of the client. *If the size of your group exceeds our limits we can arrange a larger vessel for you and your needs. Your total happiness and a great experience is our ultimate goal.